The City of Banja Luka officially submitted its bid book for the purpose of applying for European Capital of Culture 2024 title, the most renowned European cultural award. This was announced on October 5 by Mayor Igor Radojicic and by project team head, Marko Bilbija. As it was announced, Banja Luka`s bid book was sent to the European Commission a few days before the final submission deadline. At the moment, Banja Luka is the only city from Bosnia and Herzegovina that has submitted its candidacy. However, there are some announcements that Mostar might also apply, as well as Tirana and Bodo from Norway. – After more than one and a half year of very demanding activities, we reached this phase. At the beginning of 2017 the City Assembly made a unanimous decision on the city`s candidacy for ECoC 2024. Based on that decision, the project`s team also developed the Strategy of Culture Development of the Citz of Banja Luka for the next ten years. 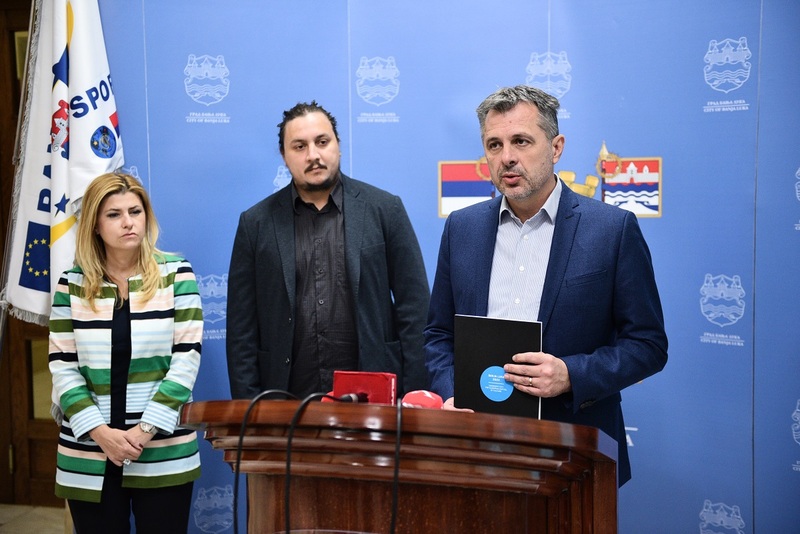 The same team showed great dedication in its work on the bid book, which reflects our vision of culture in Banja Luka for 2024, Radojicic said. He expressed optimism about the preselection process and said that Banja Luka`s cultural scene and potentials deserve this flattering title. – By the end of this year a decision will be made by the European Commission if Banja Luka will pass the preselection phase, which is the first step of evaluation. If we pass the preselection phase, we will have to elaborate the submitted bid book throughout 2019. After that, we would enter the final phase of decision making for EcoC 2024 title holders, Radojicic said.